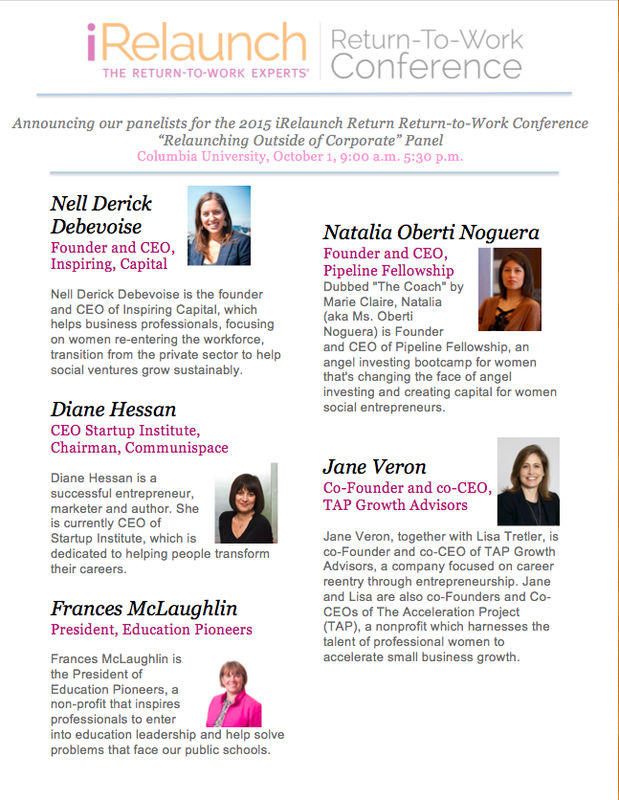 Ready to Launch or Grow a Business? In response to your requests, we are offering a forum to provide new business growth advice in a small group setting. Explore ways to build your enterprise with the input and camaraderie of others in early stages of business growth while learning to focus on your competitive advantages. ﻿Thinking of Starting Your Own Business? You are Not Alone! In light of the growing number of professionals who are choosing to reenter or recreate their careers via the flexibility and upside potential of entrepreneurship and self-employment, TAP Growth Advisors is offering an interactive workshop to those who are thinking about taking the plunge. 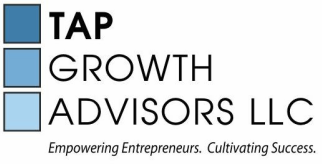 TAP Growth Advisors was founded by Lisa Tretler and Jane Veron who hold MBAs from Wharton and Harvard respectively, and have a combined 35 years of consulting and strategic marketing experience at blue chip firms including American Express for both, Accenture for Tretler, and Bain & Company for Veron. Tretler brings over 15 years of academic experience teaching entrepreneurship, and Veron offers expertise through private equity and venture capital investing. TAP Growth’s mission is to help women channel their skills and experience back into the economy.